Participant Media, Paramount Home Media Distribution and Google announced today that former Vice President Al Gore, chairman of The Climate Reality Project, and Participant Media Chairman and Founder Jeff Skoll will host a Google+ Conversation on the climate crisis to celebrate the seventh anniversary of the Academy Award-winning documentary An Inconvenient Truth. 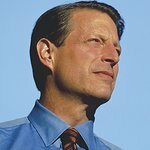 In a brief YouTube video released today, Vice President Gore invited people to join the Science on G+ Community and share ideas to mitigate climate change. Over the next week Gore and Skoll will engage with Google+ users on the topic and ultimately will select the five most insightful Community members to join them in a live Google+ Hangout on Air on June 11th at 2PM EDT / 11AM PDT.